5:45 PM PDT 7/29/2018 by Ryan Parker , Paul Bond for The Hollywood Reporter. The board will also discuss whether to appoint someone as a temporary leader while Moonves is under investigation, THR has learned. 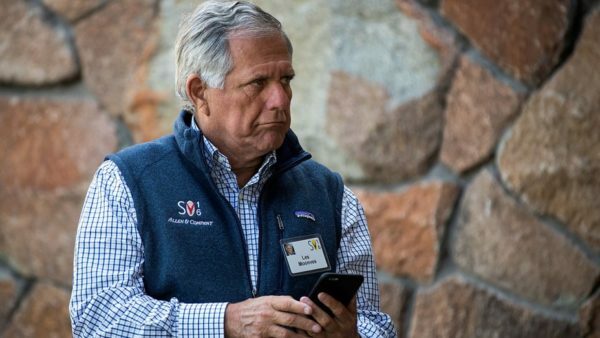 Members of the board of CBS Corp. have spent the weekend discussing the Les Moonves situation after the network CEO was accused of sexual misconduct by a number of women, The Hollywood Reporter has confirmed. The board will further discuss at Monday’s previously scheduled meeting who will lead the investigation into the allegations, which were reported in The New Yorker on Friday. The weekend discussions on the matter were with all board members, including Shari Redstone, though not necessarily all together at once. The New Yorker investigation detailed descriptions of allegations from six women (four on the record), all of whom claimed Moonves had asked them for sexual favors. When they declined, he allegedly retaliated. The Wall Street Journal was first to report the weekend discussions.